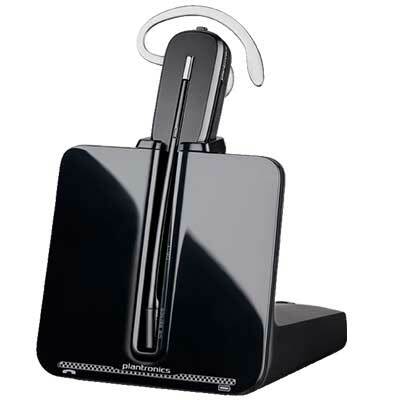 Plantronics CS540™ Monaural Wireless Headset System is setting a new standard for wireless desk phone communications. The new convertible headsets – the lightest DECT™ headsets on the market – feature streamlined design, improved performance, and the same great reliability. Comes with two wearing styles, headband, ear loop and HL10 Handset Lifter. Plantronics CS540 Headset is setting a new standard for wireless desk phone communications. The new system features the lightest DECT™ headset on the market, a new streamlined design, improved performance, and the same great reliability. They offer hands-free productivity up to 120 metre away from your desk, and great collaboration options. Pair your headset with any base by simply docking it, or add up to three additional headset wearers into your call. Switch between narrowband audio to maximise battery life or wideband, professional-grade audio to enable clearer conversations. Experience outstanding, wideband audio quality, and style like never before. Conference-in up to three additional CS500 or Savi® headsets. Auto-answer option lets you answer and terminate calls by removing the headset from, or replacing it to, the base. 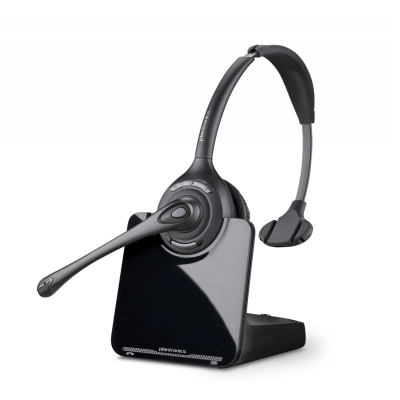 RK Communications supply Plantronics CS500 Series headsets & accessories to suit desk phones.